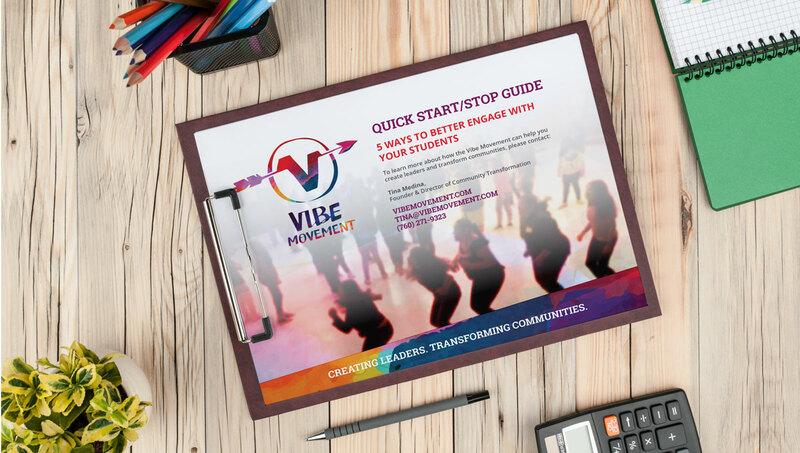 Vibe Movement is a new program that helps troubled youth transform their frustrations into positive, independent solutions. This consulting agency helps schools, administrations, and youth programs develop internal procedures to counter the current zero-tolerance education system. 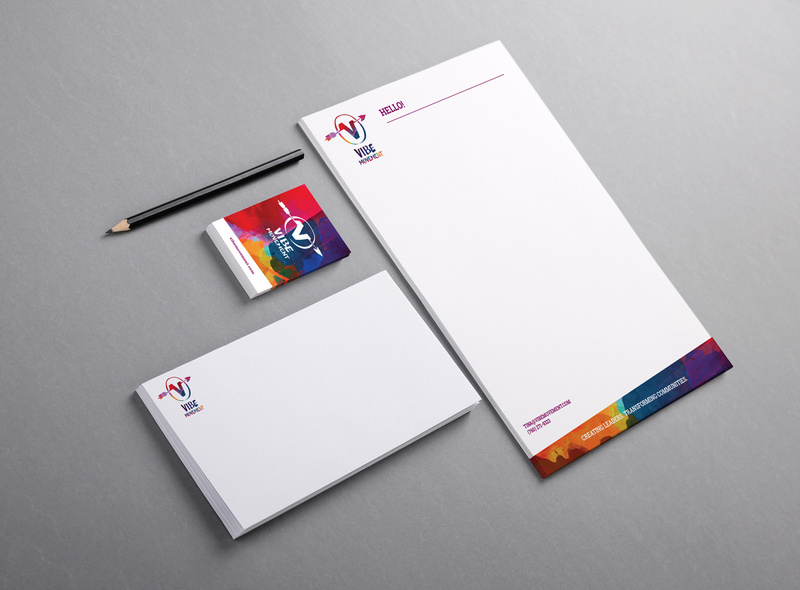 To create a name and a brand that felt fun and engaging all while supporting the founder's spirit and passion. 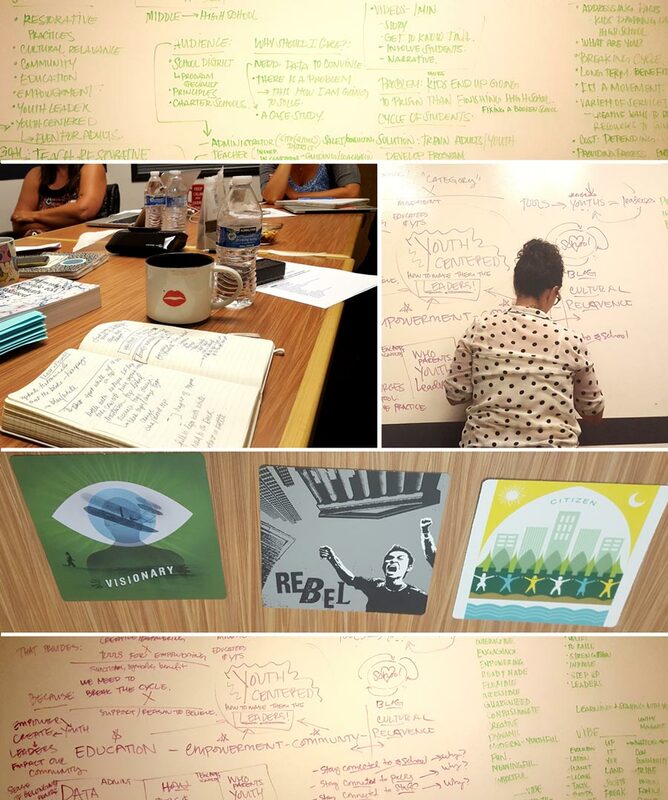 Create a name that promoted impact, a feeling, a vibe, and then make it a movement for everyone to get behind. 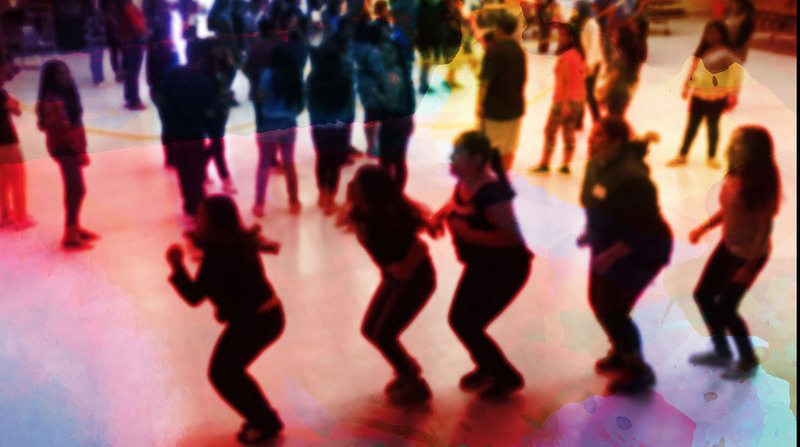 This ‘movement’ is to “vibe high” at your greatest potential. 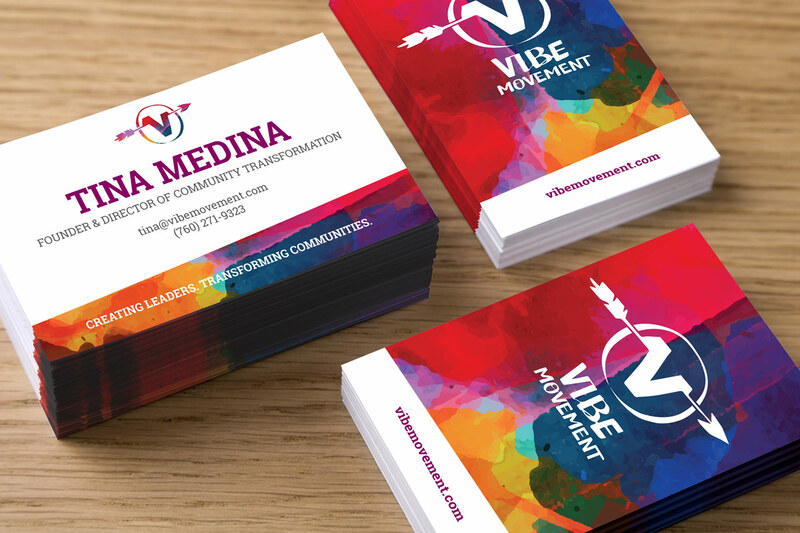 We wanted lots of colors and movement to represent the passion and drive it takes to create real change. Brand Discovery Workshop: The "Brand Discovery Workshop" was an incredibly productive three hours. We picked the client's brain, questioned things, collaborated, and even pushed her to see the future potential of her company. We came in there with a number of ideas and left with a focused vision and strategy for The Vibe Movement. reminds us to operate at the optimum level. The vibrations of our bodies are at their highest levels when we are positively influenced. The V represents a heartbeat, and the arrow represents our willingness to break out of our old cycle. "The Cowlick Appeal pushed me beyond my scope and carried me into a future vision where my business was flourishing. I had no idea what I was in store for! I felt like every logo could have been “the one” and I was faced with a really tough decision. 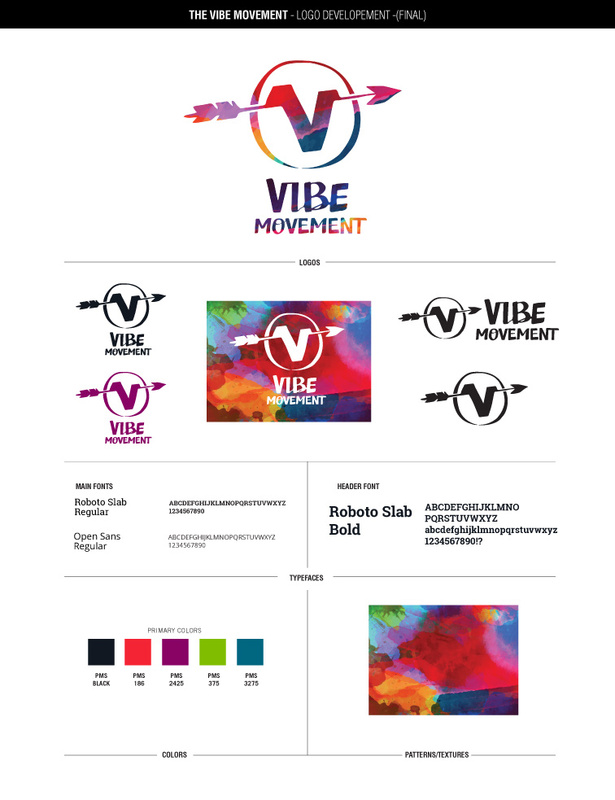 Every potential logo had a story that could have easily been the start for the VIBE Movement. We landed on a logo that will not only carry me through many years to come, it will one day be a trademark in my field." 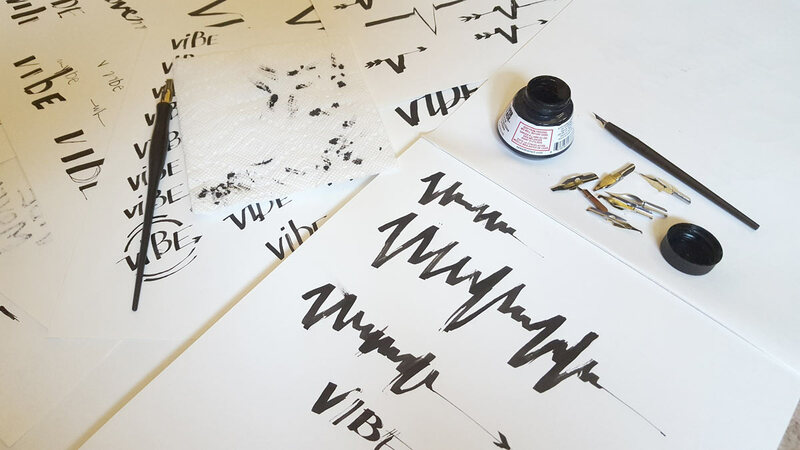 Since the Vibe Movement is all about about changing the frequency and making human connections, we thought it was perfect to incorporate some kind of handmade logo. The arrow signifies forward movement and connects with a stylized ‘V’ to represent our vibrations that need nurturing and support to fully grow. To represent "breaking out" of the cycle, we made the arrow cut through the circle. 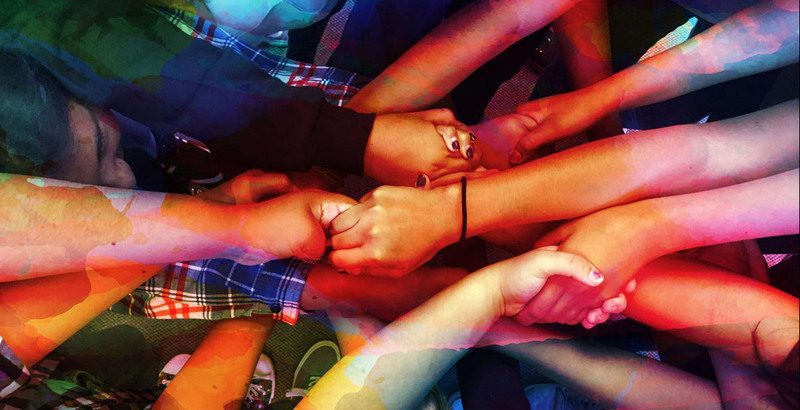 The watercolors represent administrators, teachers, and students working together for a better tomorrow. The first infographic was designed to show the school system as-is and its current faults. 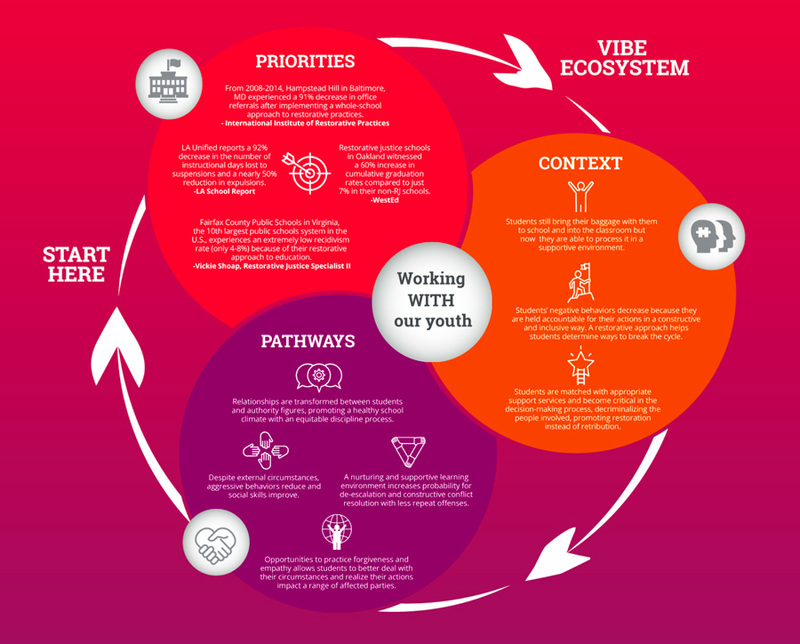 We created the second infographic to showcase the new Vibe Movement world and all its positive possibilities. 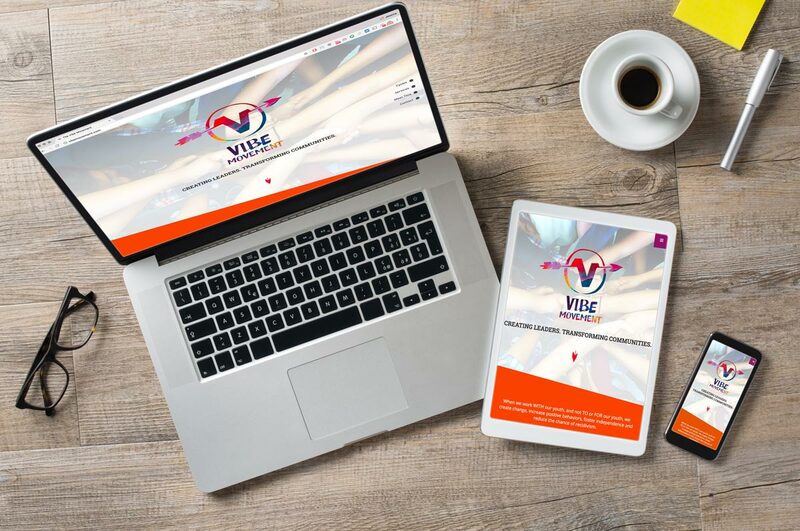 The Vibe Movement’s website was custom designed to be the first step to provide the founder with an online source of information. Our client needed the website to explain and introduce this new program to interested administrators, teachers, and youth leaders. The interactive content - testimonials when you click the stars, infographic and services tabs that open and close,- were built to allow the user an interactive and engaging way to learn about the Vibe Movement. This user experience leads to a heightened interest and provides a call to action to see how the Vibe Movement can work for them.